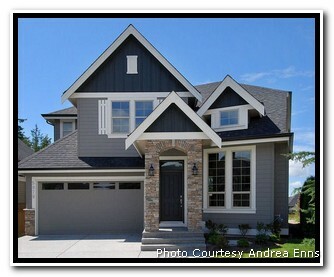 …and recognizing the many benefits of vinyl siding! 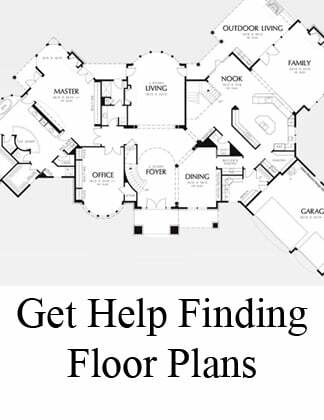 Of course we all want our new homes to look fabulous right? Sounds great! Can’t wait! However, beyond fabulous looks, we also need to make wise choices for our single largest investment and these choices also have to fit within the limits of our dreaded budgets. 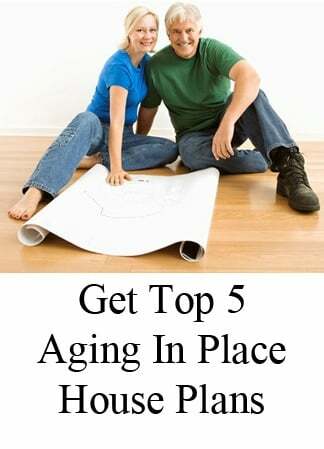 If this sounds like it might be next to impossible and that you can’t possibly create that new home you long for and still stay within your budget then read on for some good news because there are wonderful options available--and spending your future retirement money isn’t one of them! Vinyl Siding—this product has come a long long way since it was first introduced into the residential construction market back in the 1970’s. 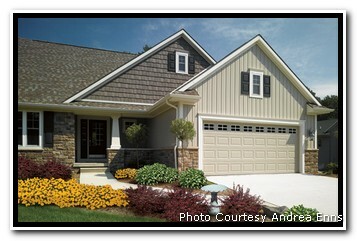 In fact, today vinyl siding is the top selling cladding choice for homes built in North Carolina. The fact that we have been using it since the 1970’s and its sales grow stronger every year is proving its sustainability, but here are some other facts: vinyl siding is virtually maintenance free, never needs to be re-painted, just power-washed to freshen. That saves you money in re-painting and caulking over time. Plus, not only is it your least expensive cladding option in the first place, but add to that the fact that Vinyl siding is considered by the NAHB to last a lifetime. 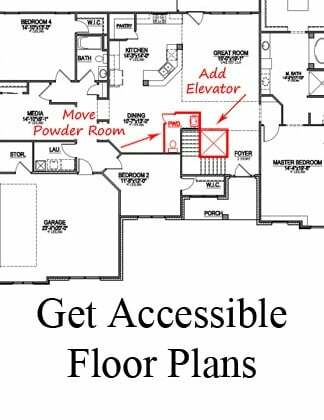 It is strong, resistant to moisture and abrasion, it will not rot or corrode, and it also boosts your home’s R-value rating which is yet another money-saving benefit. With all of these benefits, what more could we possibly want? 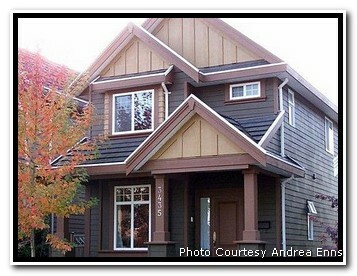 In selecting vinyl siding we’re saving money and we’re buying quality, but how about creating that fabulous look? We want it all! 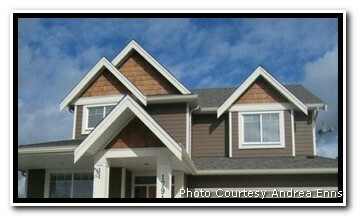 Vinyl siding can deliver in that category as well. 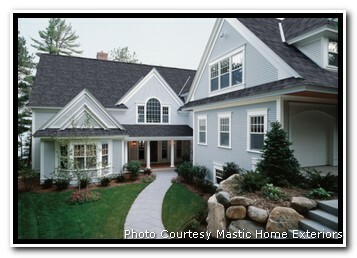 Within the products that vinyl siding has to offer, you can create traditional, Craftsman, and even modern styles. Today, many of us are favoring the transitional Craftsman styles which are modified versions of those built back in the 1920’s and earlier. To create the look Vinyl siding products include clapboard style siding in straight lap or Dutch lap profiles, vinyl shakes in colors that mimic the original cedar shakes as well as painted style shakes, and even board and batten style vertically installed siding. Although the various options are not all available at exactly the same price level, they are all still by far, the most affordable exterior cladding options available in the market. Within vinyl siding itself there is a step up when choosing a particularly dark color such as a Forest green or dark blue or dark red, however again, it still prices quite a bit less than any other option right from the beginning and saves you money in maintenance and repairs in the long run. To create another authentic Craftsman look it is also a po pular option to mix in a stone accent onto one small portion of the front façade. 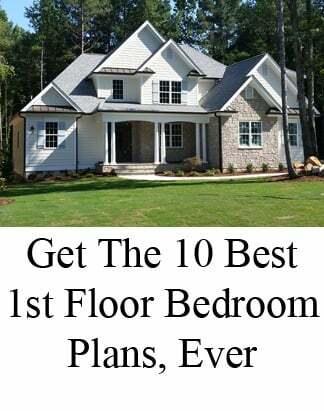 This was first popular on the original New England craftsman homes of 100 years ago because some of them were clad in shakes only and so they desired a change in texture which they created by adding stone accents. Today, we are commonly mixing three elements by including lap siding or board and batten siding, a shakes accent in the roof gables, and stone on a lower portion or upper portion or onto a complete front section from base to roofline. The combinations are endless. With so many possibilities available to create a unique look, plus the benefits of affordability, maintenance free, and a lifetime warranty, choosing vinyl siding for the exterior of your new home is what we call pretty smart THINKING outside the box!